The Family Radio Network announces the results of their 2019 “Help for the Homeless” hygiene drive. 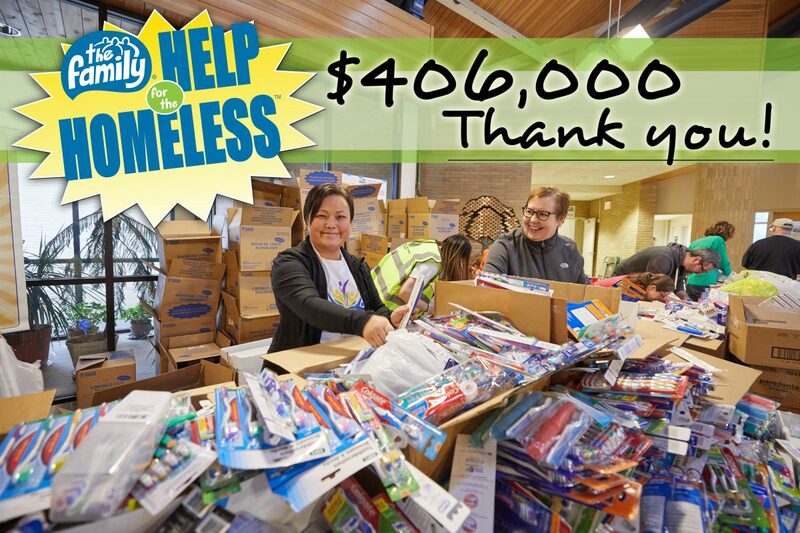 $406,000 worth of new hygiene and cleaning products were donated in 15 Northeast and Central Wisconsin communities for their local crisis programs. The 89 crisis agencies benefiting from these donations are sincerely grateful for this generous help! In its 27th year, “Help for the Homeless” donations have provided more than $3.3 million worth of hygiene supplies to local crisis programs and those they serve.